In my time on this earth, I’ve run across those who travel the world to get the rest and relaxation that they require. In the same time, I have also known people who did not go much distance to get their R&R. I understand that not everyone can be divided up into one of two groups because I find myself in the middle ground when it comes to these two ends of the spectrum and how I relax. Some of my friends will plan a trip for months in advance down to the last day and every detail in between. This planning helps them to be sure to get the maximum experience and relaxation before coming home. Looking at the far opposite side, I know people whose idea of taking a break is spending a week away from work and relaxing at home with their living room sets. They will go enjoy local activities but come right back home during their time off. To me, either choice seems like a good idea, but I enjoy a mix of both. When I am ready to take a break from work and the stress of life, I am fond of seeing new things and visiting new places. Traveling is something that is invigorating to me. Depending on how long my planned vacation is, I do like to have a little time around the house. Typically a couple of days is all I want, but I like to take my time and settle back into my home after being away. After a few times of coming home at night and going to work the next morning, I decided this wasn’t for me. Having a day to unpack and get everything washed and sorted just puts my mind at ease. That second day is just there so I can relax in my own home and prepare for the new work week to come. The thing about relaxing at home is that it can’t be very relaxing if you don’t have the proper furniture. When you think about it, every weeknight is like a miniature vacation. You may slip off to an unexplored area while watching the Discovery Channel. Perhaps it’s a video game or book that transports you to another world. No matter what you pick as your entertainment, it is hard to relax if you can’t get comfortable. That comfort level may be hard to achieve without the right living room set. 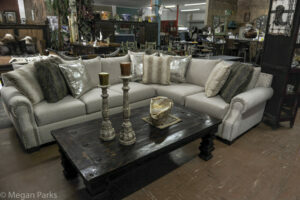 At Santa Fe Terra Western Furniture store, the ultimate goal for us is to provide comfort and style to your home. With an ever-changing inventory and wide selection of unique rustic, western, and hacienda-style living room sets, you are sure to find something to catch your eye every time you come to visit. From furniture sets to unique decorations, we are here to help you find what you need to make your home look and feel the way you desire! If you are searching for that perfect recliner to enjoy your downtime, then we have what you need.